Content is an integral part of the internet. From websites to your favorite social media platform, content is ubiquitous. Songs, web pages, pictures, videos, articles, and blog posts are all forms of content the average internet user consumes daily. On YouTube, users watch 5 billion videos daily. Customers spend over 1 billion hours of streaming videos on Netflix every week. Over 6 million blog posts are published on the web daily. The knowledge shared in the millions of content pieces published daily means you can find virtually any information online. It is no surprise that consumers will turn to this trove of information when faced with a purchase decision. Before buying a product, users turn to the internet to conduct research. Product reviews from trusted sources like fellow users, demo videos from influencers and content published by businesses are resources consumers will turn to when making a buying decision. Brands stand out from the horde by providing quality and interesting content that helps customers make a purchase decision. Assisted living facilities are subjected to the same consumer research that people conduct on other services they use. 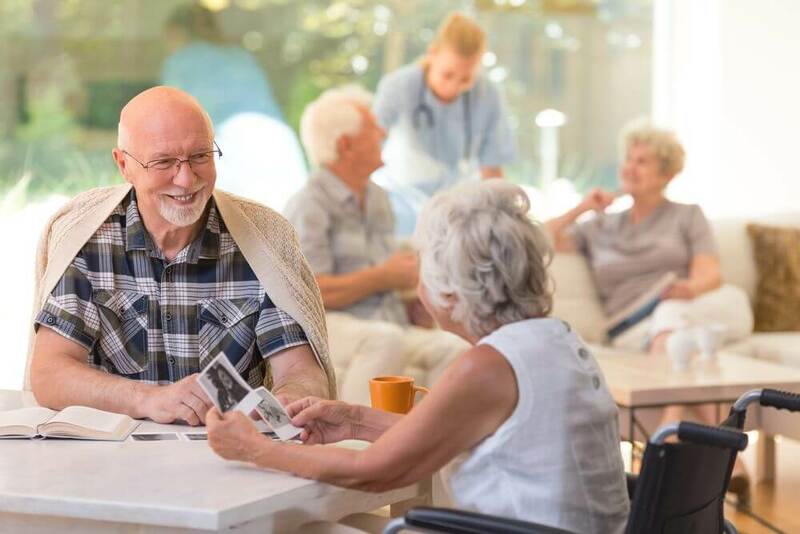 Before choosing a facility, people will spend time on the internet reading experiences of others who live in your facility, reviews from other families and information that your assisted living facility publishes on its blog. Creating compelling content for your assisted living facilities blog is important as the information you put out will help influence many people’s decision on whether your facility is the right place for them and their loved ones. Before you create content for your assisted living facilities blog, here are a few things to consider to ensure you create compelling content that will help your customers. Since most of the research about your assisted living facilities will occur online, consider the people who will conduct this research when creating your content. Although your service is geared towards the elderly, many of them aren’t tech savvy. Family members will probably help their elderly parents or grandparents in research facilities. Family members like adult sons, daughters and grandchildren are your target audience. Knowing what family members are looking for in an assisted living facility where their parents might stay will enable you to create persuasive content. Building personas of potential readers and the issues they want to solve provides enough information for you to tailor your content to this group. The persona you create will include age, interests, needs, issues, and other demographic data. A good place to gather data for building your target audience persona is your website’s analytics. Website analytics software like Google Analytics tracks visitors to your site and provides the information you need to create your persona. Apart from creating quality content that family members will find valuable, you also have to be mindful of the language used in creating your content. Every piece of content you create must serve a purpose. The primary goal of your assisted living facilities blog is to provide valuable information to family members who have to make decisions about aged loved ones’ living arrangements. Each article you publish on your blog must serve the primary goal of adding value to your audience. How to choose a facility, etc. Providing valuable information to your audience helps you build trust and establishes you as an authority in the assisted living facilities industry. This is the best way to market your facility to family members in an appropriate manner without being too salesy. Reading blogs from competitor sites in the assisted living facility industry will give you a good idea of what content topics and trends work best with your target audience. It will also enable you to identify topics and trends that other blogs aren’t covering. Writing about topics that hardly have any information on them will set your blog apart from the others and position your site as a vital source of badly needed information. Reddit is another resource you can use for research. It is an online forum where people go for information and conversation. One of the best ways to provide content that resonates with your audience is to find out what their concerns are. Writing emphatic articles that solve their issues will endear your blog to families. Conversing with family members on Reddit establishes your credibility and promotes your blog at the same time. Facebook hosts many support groups for family members who have loved ones in assisted living facilities and others considering a facility for their parents. These groups are good resources to get insights into what type of content your target audience needs. Complaints about industry trends and practices which may be common on these groups provide invaluable content topics for your blog. One of the best question-and-answer sites on the web is Quora. Users ask questions and get answers from fellow users who may be experts or have experience with that query. Family members researching assisted living facilities use Quora to get candid answers to questions about facilities. You can use Quora as a research tool that helps you understand the content family members wants to see. Another way to use Quora is to answer questions in the assisted living facilities niche. This builds credibility while subtly promoting your assisted living facility. Use the search function on Quora to find questions on assisted living to get started. After you have researched different ideas in the industry and online forums, collate them into a document. These will serve as areas that you can create content around. Take some time to turn these ideas into potential topics for your assisted living facilities blog. Create an outline of how each topic will look when turned into a blog post. Start by writing the main points you wish to make in each article. Explain these points to pinpoint your thoughts and make it easy to write later on. Use subtopics to arrange these points so they follow a logical structure. Remove points that do not follow the structure. If these points are important to the overall quality of the article, you can add them to the concluding paragraphs of your post. Creating an outline works for whichever content type you are producing as it will streamline your thoughts into a format that will be easy to write about later. When it comes down to finally writing your articles, follow the structure you created in your outline. Use paragraphs to break up your points into readable bites. Explore only one idea in a paragraph. And keep each paragraph short as it will make your article easier to read. Keep your tone conversational when writing. A conversational tone builds trust and credibility with your readers. It also makes it easy for your audience to understand your article. Use second personal pronouns (like you and your) in the article to keep the tone warm and friendly. Add visual elements like images, gifs, and infographics to your article. They make your article look well put together. Blog posts with relevant images get more social shares and engagement than those without. Use spell and grammar checkers like Grammarly to edit your articles. Spelling and grammatical errors make your content look unprofessional. There is nothing like spelling errors to erode the credibility of your assisted living blog. Remember to run your article through a plagiarism checker to ensure your article doesn’t lift unquoted words directly from other sources. Using a plagiarism checker will help you avoid creating duplicate content. Articles aren’t the only content you can create for your assisted living facilities blog. 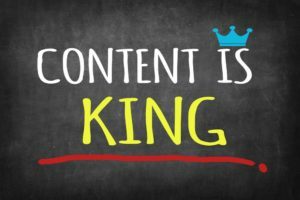 There are many other content types that are just as important in your content marketing efforts as articles. You can create an FAQ section that answers the basic questions families have about assisted living facilities. Testimonials from family members and their parents who live in your facility will go a long way in addressing concerns and putting families who may want to use your facility at ease. Case studies are another content type you can produce using data from organizations like Pew Research Center, National Alliance for Caregiving and others. Another content type you can incorporate into your content creation is video. In the last few years, video content has grown to become an invaluable tool for many content marketers. According to research by Renderforest, users spent 88% more time on a website with video and marketers who use video in their content creation efforts get 66% more leads yearly. Cisco says video will account for over 80% of all internet consumption by 2022. 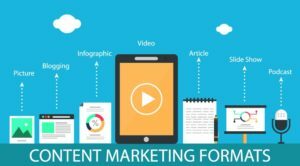 Publishing useful video content on your assisted living facilities blog will help your content marketing efforts land more leads. The sheer volume of content on the internet means it’s hard to stand out from the crowd. Most research starts on search engines like Google, Yahoo, and Bing. Search engine optimization (SEO) is a necessity if you want your blog articles to show up on search engine results page (SERP) so readers can find it when performing searches. Title tag: Use your keyword in your title tag, preferably towards the beginning of your title. Make sure your title tag is persuasive. This will show on the SERP so review competitor title tags prior to writing yours. Make sure yours is more compelling! Use only one H1 Tag. This is your main header and HTML tag. You’ll want to avoid multiple H1 tags throughout your content. Use H2, H3 and H4 tags to break up your content into readable bits. Include your keyword in subheadings and the body of your article. Write a memorable Meta description that tells readers what your entire article is about. Keep your Meta description between 120-158 characters and be sure to include your keyword. Remove all stop words from your slug (a portion of your URL that identifies your page) and includes your keyword. Links: Add internal links to other similar articles in your blog posts. It helps readers find more resources on your site and gives search engines an idea of the hierarchy of your website. Link out to external sources to help search engines better understand your content. Make sure your website loads quickly as slow load time will discourage readers from visiting. Optimize your content for mobile as many internet users are accessing the web through their smartphone. Websites that don’t fit on mobile screens will lose visitors. Use high-quality images in your article. Images elevate the quality of your article and help your search engine rankings. Title your image properly in a way that tells search engines what your image is about. Make sure your image fits whatever device anyone is viewing your article on and it doesn’t affect the load time of your web page. Write a good alt tag so if your image doesn’t load, there will be a descriptive caption in place. Our Assisted Living Facilities SEO Guide provides a more in-depth look at how to perform SEO for your assisted living facilities site. Don’t forget to add social media share buttons so readers who found your content helpful can share with their online network. Creating interesting content for your assisted facilities living blog doesn’t have to be difficult. Solid research backed by a creative approach to presenting valuable information is all you need. To keep things organized, create a content pool document to store your ideas before you outline and turn them into finished pieces. Another tip to keep you productive is a content calendar. It allows you to schedule posting time and plan ahead so your articles go up at consistent time intervals. High-quality content will help your site rank better and set up successful link building campaigns to rank content assets prominently. I love hearing from facilities around the U.S. What tactics are you utilizing each month to produce compelling content? Leave a comment below and let me know what has worked for your facility. Of course, if you are interested in professional help, don’t hesitate to reach out for a complimentary consultation.